Nous voilà à lundi 16 avril et voilà enfin dévoilé le prochain novella collector à tirage limité à 3000 exemplaires qui sera vendu en ligne le 7 mai prochain par la Black Lihrary. Captain Daed and his Brazen Minotaurs fight a hopeless battle on a vital world, assaulting an impenetrable fortress held by their treacherous foes. 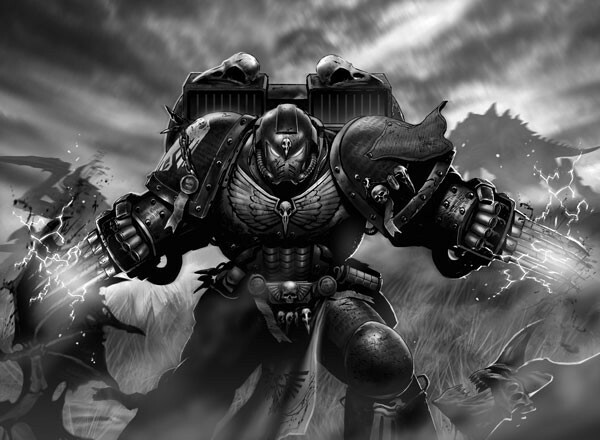 When help arrives in the form of the Raven Guard, commanded by Daed’s old ally, Captain Koryn, the Imperial forces finally have a chance of victory. But can the subtle stealth forces of the Raven Guard and the bold, brash Brazen Minotaurs work together, or will they all be doomed? PS : Un volontaire pour une petit traduction du texte de présentation ? Fiou, que d'émotions dit donc! Le Capitaine Daed et ses Brazens Minotaurs combattent dans une bataille déséspérée sur un monde vital, assiégeant une impénétrable forteresse tenue par de perfides ennemis. Quand les renforts arrives sous la forme de la Raven Guard, commandés par un vieil allié de Daed, le Capitain Koryn, les forces impérial ont enfin une chance d'obtenir la victoire. 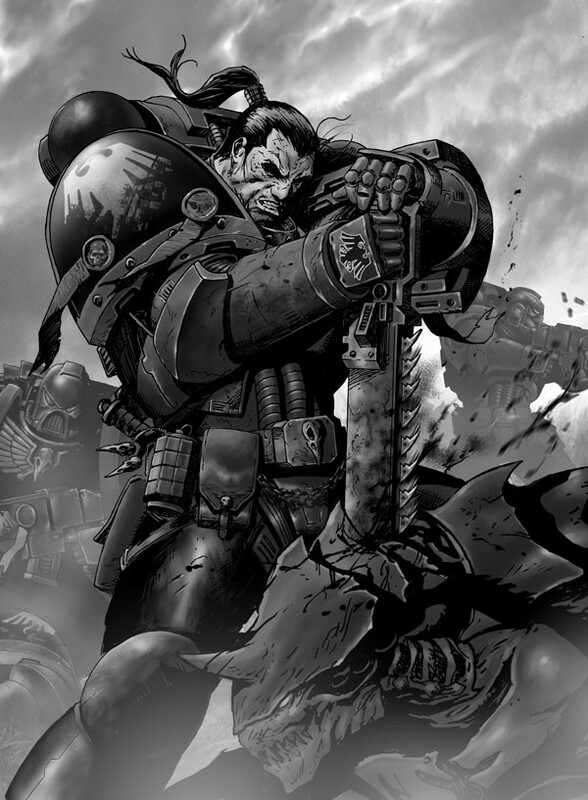 Les forces de la Raven Guard et des Brazens Minotaurs parviendront-ils à combattre ensemble, ou seront-ils tous condamnés? Ça à l'air intéressant mais je trouve aussi le prix un peu exagéré et c'est dommage que ce soit limité. Ça me donne un peu cette impression: si tu le veux, c'est maintenant et pas plus tard. Le problème, c'est qu'on ne peux pas tout acheter comme çadonc ça sera non pour moi. Quoi qu'il en soit j'aime bien le style du dessinateur! Le corbeaux ont le vent en poupe en ce moment. Kairos le Tisseur a écrit: Le corbeaux ont le vent en poupe en ce moment. Bizarre les illustrations, on les voit se battre contre des tyrannides... :? Il y a vraiment un sujet/livre à faire avec la Raven guard. Ils sont magnifiquement décrits dans le dernier tome avec Uriel ventris. Des chasseurs discrets et efficaces. Du moins au début du roman. C'est vrai qu'il n'est pas donné pour 128 pages,en plus en série limité et bien naturellement en Anglais tout pour ne pas l'acheter. Alors que l'histoire a l'air super intéressante sur mes chers corbeaux . Attention, si j'étais fan comme toi, je le prendrai sûrement. 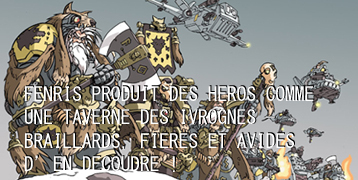 Mais juste pour un fan de W40K, ça n'en vaut pas la chandelle selon moi. 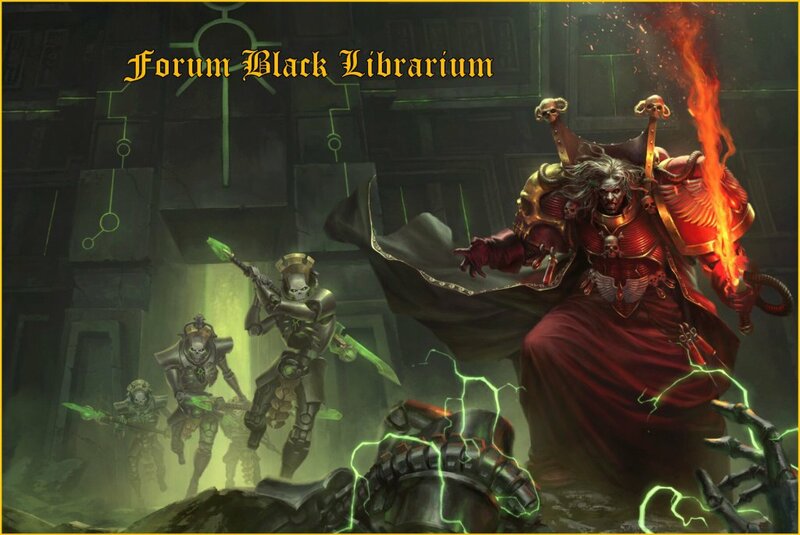 Le compte-à-rebours est lancé sur le site de la Black Library... Plus que 7 jours ! Le compte-à-rebours se poursuit, plus que 4 jours. La Black Library continue sa campagne de sensibilisation à la sortie de son prochain novella en édition limité. Hier elle a posté sur son blog en anglais un extrait de The Unkindness of Ravens de George Mann. Only four days to go. 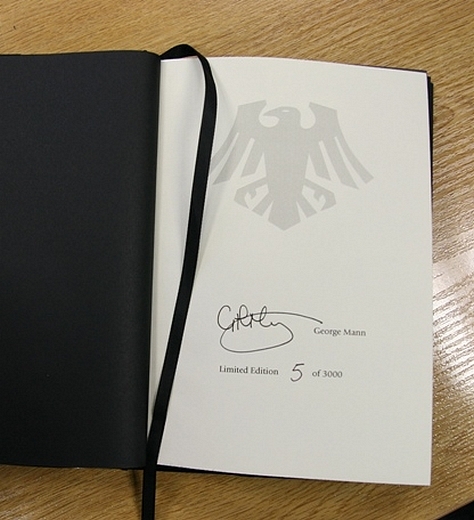 The Unkindness of Ravens, the next Black Library limited edition novella, can soon be yours. We’ve gone "stark raven mad" on the blog this week, but can you blame us with such an awesome book on the way? 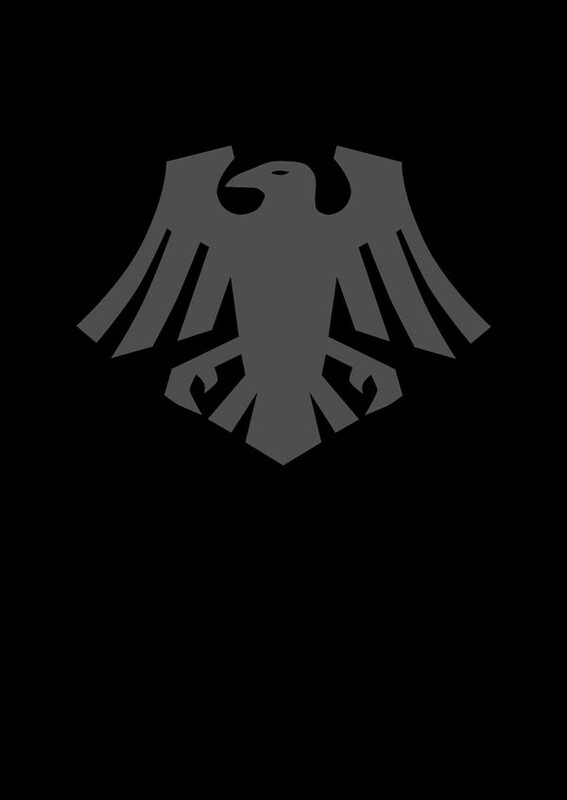 Following on from yesterday’s blog, where we looked at the great heroes of the Raven Guard, today we’ve thought we’d bring you an extract from the novella itself. We join the action as the Ravens come under attack from the foul traitors of the Death Guard. One of the traitors, whom Koryn took to be the leader of the small force, turned to address his gathered troops. ‘Remember, we want the psyker alive,’ he said in a burbling voice that sounded thick with mucus. ‘You can do what you want with the others.’ He laughed darkly and hefted his chainsword, and his foul comrades raised their own weapons in salute. The traitor took a step further towards the outpost building, and bolter-fire erupted suddenly from behind a spar of broken wall. The rounds thudded into the putrid torso of the lead traitor, showering rancid flesh and body fluid over the troops behind him. The Plague Marine simply laughed, however, continuing to march forwards, ignoring damage that would have felled a Raven Guard. The pact these traitors had made with their dark god rendered them almost impervious to harm, in a similar fashion to the infected birds that Koryn and his brothers had fought earlier. The plague they welcomed into their bodies imbued them with a kind of living death, leaving them trapped in a state of perpetual decay. They were no longer sustained by flesh and blood alone, but by the infernal powers of the warp itself. Koryn knew from first-hand experience, though, that the traitors were far from impossible to slay. He had fought them on the mortuary world of Kasharat, and he had learned that they could be slain. Taking their heads from their shoulders was the swiftest and cleanest of kills, and despite the vile pestilence that coursed through their veins, it had proved effective against their grotesque kin. Beneath him, a gaggle of humans were blown apart by the detonation of a frag grenade, tossed from inside the shell of ruined architecture with the utmost precision. It obliterated four of the men, leaving a fifth wounded and writhing amidst the mulch on the forest floor. That’s right, thought Koryn. Take out the humans first. Leave the traitors to us. He would enjoy sending the Plague Marines to their death. The chatter of bolter-fire filled the air like a thousand raw voices, each of them barking death. The Traitor Marines lumbered for cover while the scattering militia were cut down in great swathes, their torsos ripped apart by piercing bolter-rounds, unprotected heads exploding where they were caught in the barrage. More of them were tossed in the air by the force of further grenades, limbs raining down amidst the flora in a bloody cascade. All seven of the Traitor Marines were still standing. 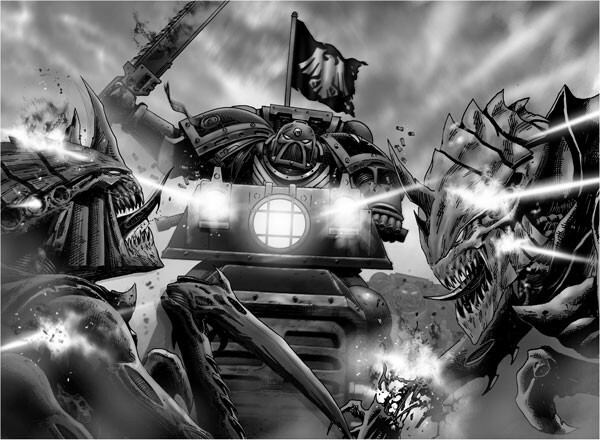 Will the sons of Corax be able to triumph against the all-but-unstoppable onslaught of the Death Guard? If you want to find that out, you’ll need to grab a copy of the novella on Monday at (8:00pm BST). Click ‘remind me’ and we’ll send you an email earlier that day so you don’t miss out. Check out the blog tomorrow for more on The Unkindness of Ravens, when we’ll be taking a look at the book itself - the whole bird, with all the trimmings, as it were. 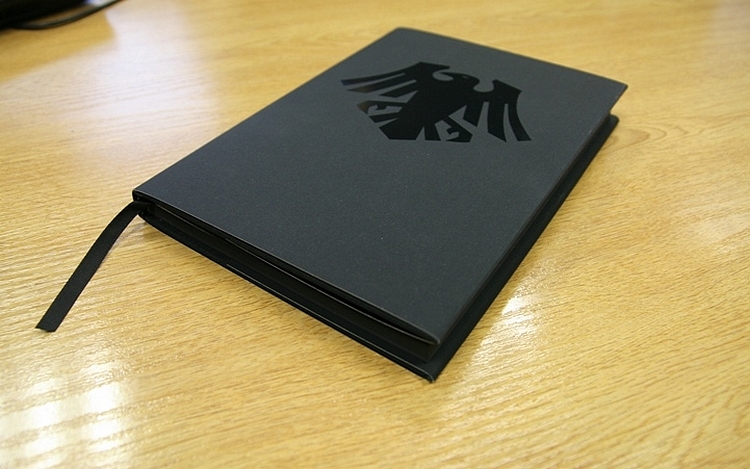 All the quality you’d expect from a Black Library limited edition, as well as the brand new art from Karl Richardson. J'aurais trop aimé en savoir encore plus sur la Raven Guard mais je suis trop mauvais en anglais pour cela sinon je l'aurais bien acheté malgré le prix et même si cela est une BD. Corax a écrit: même si cela est une BD. En fait c'est pas une BD mon cher Corax. Il s'agit bien d'un (ou d'une ?) novella (texte de taille intermédiaire entre la nouvelle et le roman) : 128 pages en format cartonné (équivalent de nos BD franco-belges) avec au bas mot 100 pages de texte et une trentaine d'illustrations pleines ou double pages. Apparemment ca fait pas partie de l'Hérésie d'Horus , étrange comme appel à la consommation en le faisant en édition limité . Magnus a écrit: Apparemment ca fait pas partie de l'Hérésie d'Horus , étrange comme appel à la consommation en le faisant en édition limité . Le dernier collector à tirage limité n'était pas un hérésie d'Horus, mais un Space marines battles. Un texte sur les Ultras de Roboutte, Catechism of Hate je crois bien. Kairos le Tisseur a écrit: Le dernier collector à tirage limité n'était pas un hérésie d'Horus, mais un Space marines battles. Si c'est bien Catechism of Hate. @ Horus Ah d'accord ce sont les dessins qui m'ont mis en erreurs. Que dis l'extrait que tu as mis ici ? Encore un post hier sur le blog de la Black Library concernant The Unkindness of Ravens de George Mann, accompagné de photos inédites et d'une nouvelle illustration. You’ll be pleased to hear that we’re fast running out of Raven Guard puns to use as titles for our blog posts, and that can only mean one thing: The release of The Unkindness of Ravens is almost here! Yesterday we brought you an extract from the story (read it here if you haven’t already). Today, we’ll be taking at look at the book itself. The first thing that strikes you is that it’s black. Not the boring "goes with anything" black. 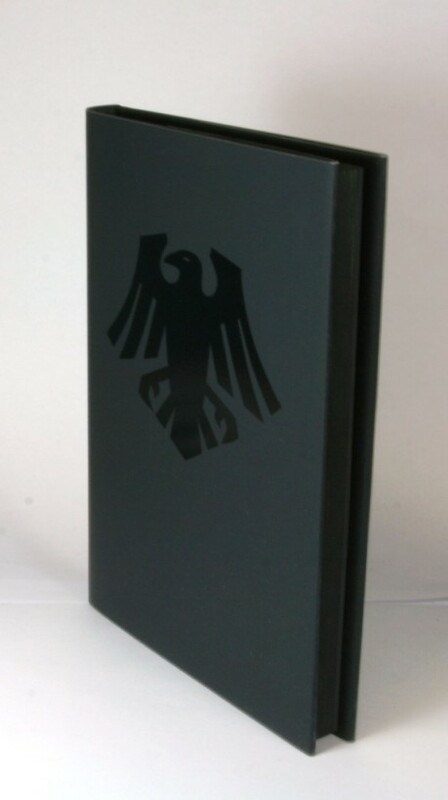 That understated, awesome black that only ninjas, government agents and the Raven Guard can pull off. Even the pages are trimmed black. This is a book that very looks cool. One of the coolest things about the novella is the all-new artwork commissioned especially for the short story 'Helion Rain' (previously only available as an audio drama) drawn by Karl Richardson and completely exclusive to this book. You can check out some of the pictures on The Unkindness of Ravens page, but we thought we’d share a new one with you today. 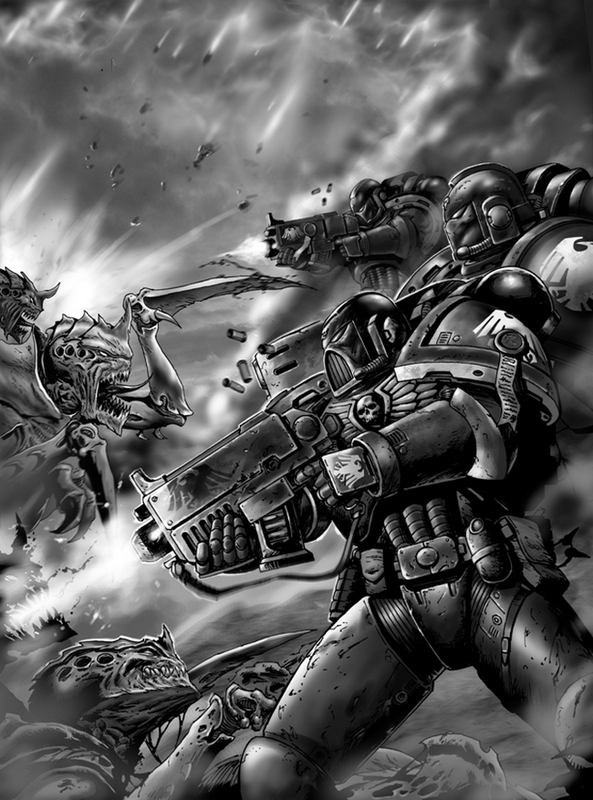 Space Marines blasting aliens to pieces - is there anything more awesome? We don’t think so. All in, there are twenty new images in the book, bringing the Raven Guard to life like never before. If you want to get a copy of this stunning new limited edition book, get yourself over to the website on Monday at 8pm BST (that’s GMT+1 for those of you outside the UK). Salut, ici Eddie de Black Library. Comme vous le savez sans doute, Dan et le reste de l'équipe Web sont en congé, donc ce matin je profite de l'occasion pour détourner le blog. Il y a deux raisons à cela : d'abord, je voulais que vous sachiez que la novella en édition limitée, The Unkindness of Ravens, sera en vente ce lundi à 21h (heure française) sur blacklibrary.com. Il n'y en a que 3000 exemplaires, donc soyez en ligne dès 21h pour ne pas la manquer. Source Le nouveau livre où le suspense va croassant. Voilà il est en vente.